You’re about to enter a dimension, not only of sight and sound, but of mind. That’s the signpost up ahead. Next stop, Jordan Peele’s The Twilight Zone. 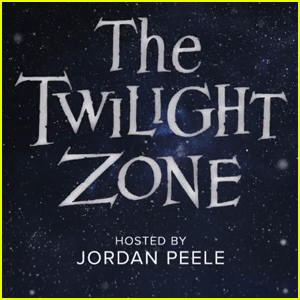 Debuting on April 1st, the revival of the classic anthology series The Twilight Zone, created by Rod Sterling, hit CBS All Access. For many resisters to paying for a “broadcast” channel’s streaming app (whereas most apps are free or included with a cable/satellite subscription), CBS finally figured out how to force wallets. Between TZ and the new Star Trek featuring the highly anticipated return of Patrick Stewart as his most famous character of all time Captain Picard, CBS knows precisely how to get you to subscribe to its service. I’d love to see difference in subscribers before Peele’s Twilight Zone and after. Have you seen the new series? Although TZ has been revived before, it never quite took off the way the original did, and still commands an audience. Regularly ranked as one of the best written shows of all time by the WGA, IMDb, and other respected organizations and sites, this show left an indelible mark on television. Furthermore, it has even influenced recent cinema and television as evident in shows/movies such as Black Mirror, Us, Are You Afraid of the Dark, Ex Machina, and more. Rod Sterling’s groundbreaking show creatively tackled complex issues such as conformity, the uncanny, human frailty, fear of the unknown, self-destruction, faith and lack thereof, paranormal/supernatural, and more. Specifically, it was a welcoming place for all kinds of people to explore these topics. No matter how the central character’s tragic flaw affected him/her, whether for the positive or negative, you could always count on the episode’s moral compass pointing north and a closing monologue from Sterling to tie everything up. Right out the gate, I feel that the series premiere was on the weak side, but it made up for the sluggish start in episode 1 with episode 2 (released with E1), an adaptation of one of the most popular episodes in the original series Nightmare at 20,000 Feet. I thought it would be fun to analyze and review each episode in the seasons of this show. The challenge of this new series is to deliver the same powerful, memorable stories as the original. 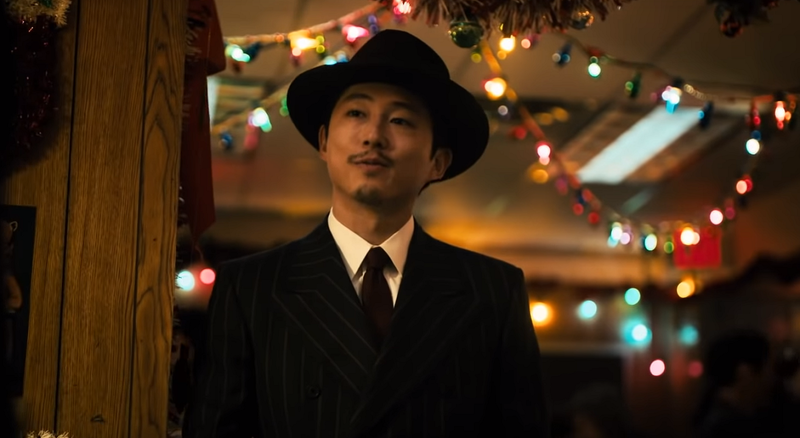 Since this is an anthology series, and therefore each episode is a complete story in and of itself, it is not fair, at this early stage, to generalize a review of the show–not yet anyway. So, you’ll find reviews of each episode in this blog. For the sake of readability, I’ve limited each episode to one paragraph. Simply click an episode to jump to that part of this running review. If you haven’t watched either E1 or E2 yet, I recommend starting with E2 because this first episode drags as it searches for its dimension. At its core, this episode is about the perils of fame, treating people as disposable commodities, and be careful what you wish for. Solid themes around which to build a show. Despite Peele having a shared writing credit on this first episode, the Sterling-esque monologue/narration and plot do not appear to have a singular unifying voice. Much like his recent Us struggles to tell a singular, coherent story. It’s an ambitious interpretation of Faust, but the episode isn’t capable of following up the ambition with effective delivery. If you recall, the majority of the original TZ episodes were half-hour shows. The original series wasn’t produced simply to entertain, but was written to tackle socio-political, religious, and psycho-social topics. This was accomplished through thought-provoking stories with am emphasis on the writing more so than the visual design. Now that I have the negative out of the way, I would be remiss to not highlight what it did well. The performances by lead Kumail Nanjiani and supporting cast Diarra Kilpatrick, and Tracy Morgan were fantastic! Additionally, the cinematography and editing were on point. One of the key differences between the original series and Peele’s new one is the production quality. Even though I have no issues with the production value and design of the OG, I do greatly appreciate this new one for the cinematic quality to the story. 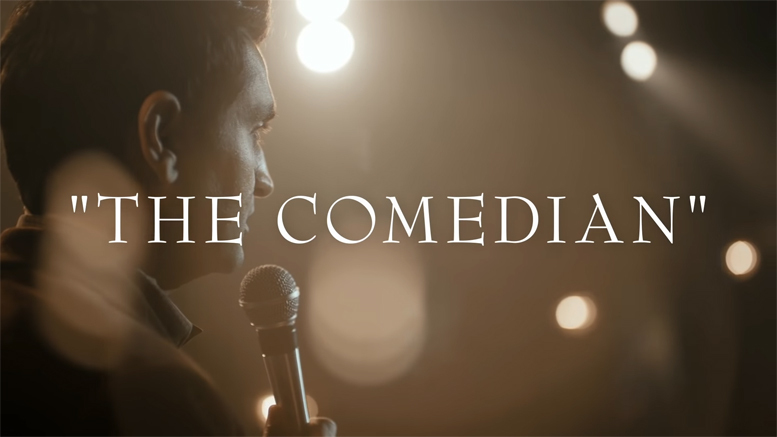 Had The Comedian been a 30min episode, I think that it would have been better executed. 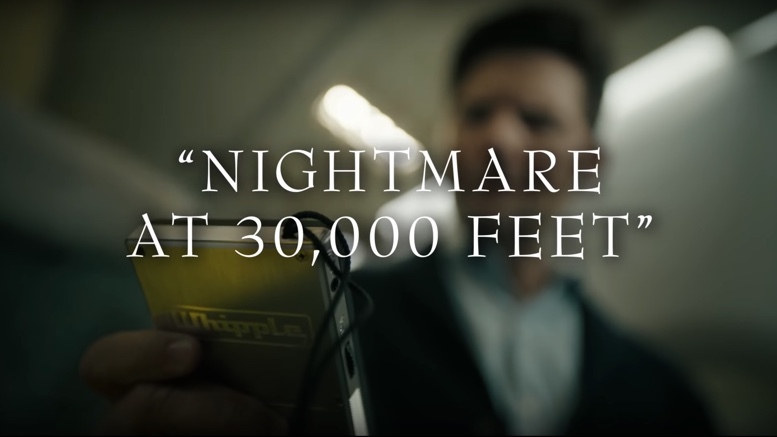 Parks and Rec‘s Adam Scott figuratively steps into the shoes and sits in the airline seat of William Shatner in an adaptation of one of the most popular, recognizable and oft parodied episodes of the original Twilight Zone. Completely grounded in the premise of the original, but writers find a way to provide us with a new interpretation that brings the iconic plot into the 21st century. If you’re wondering if it’s an unnecessary, pretentious remake in the vein of Psycho (1998) or The Lion King (2019), then you can exercise relief as this episode will have you on the edge of your airline seat. Without going into spoilers, you’ll likely not think of podcasts or aircrafts in the same way next time you travel. Unlike the previous episode, this one is much stronger. I wish the series had launched with this as the premiere instead of The Comedian. When you think of the bizarre, uncanny nature of many of the original series episodes, you think of that intersection of shadow and substance a which these stories occur. And this reimagination of Nightmare at 20,000 Feet holds moderately strong to the pacing, tone, and structure of the original. Although the writing of episode 2 is tighter than episode 1, it still falls a little shy of the exemplary writing of the source material. For example, the original at 22mins delivers a more powerful punch with all the character and plot development therein than this new one does in nearly 1hr. That’s not to say that episode 2 is not effective and enjoyable–it is. But just not AS effective or memorable as the original. At the core, this story is about the worldview of having people think you’re crazy is almost worse than actually being crazy; furthermore, it also touches on the fear of terrorism. The windup is a little slow, but then as soon as he sits in his seat, you are in for the flight of your life. That is, until the final scene and closing words from Peele confuse instead of clarify (much like Us). After the fantastic second episode in Jordan Peele’s revival of The Twilight Zone, the third episode gets bogged down in politics instead of focussing on the moral or thought-provoking message. The science-fiction element of the now-retro camcorder that rewinds time gets overshadowed by the message of remembering one’s roots, but that theme gets lost when the plot chooses to divert attention to the relationship between white law enforcement and the black community. Taking its inspiration from another classic original episode, this one perpetuates and reinforces a real division that exists in some areas of the country between two groups of people. Although this episode could have been used as an allegory that could be applied to many different issues of prejudice and unfair treatment, it chooses to focus on one particular socio-political issue that runs the risk of further alienating audiences than unifying them. At its core, it is not about any particular theme but instead highlights the issue of white law enforcement brutality against black individuals. 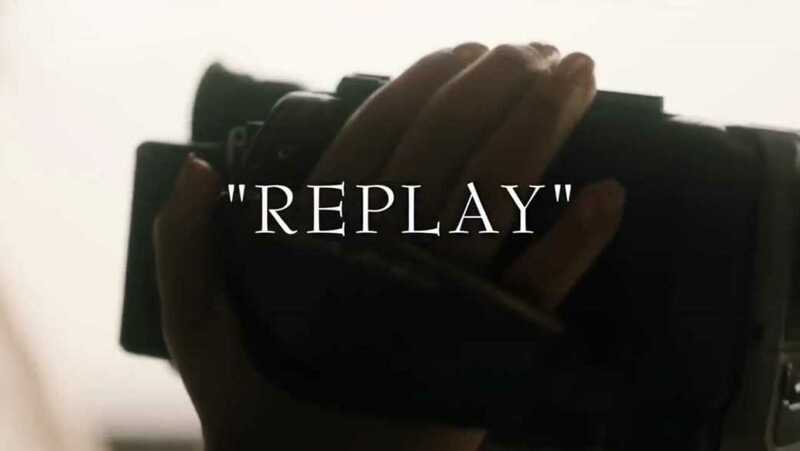 Replay could have been a powerful episode that inspires productive, positive change; but in lieu of a call-to-action, it reinforces the idea that most white law enforcement officers treat black individuals grossly unfairly. Statistically speaking, that is simply not true. But due to media attention and high profile cases that do show mistreatment that needs to be condemned, there is a growing idea that this is the state of affairs in general. Yes, this is a real issue that has been highlighted in the news for years now, but I am afraid an episode like this seeks to divide instead of mend or evoke constructive change. In terms of the plot, the episode executes its setup quite well, but feels stretched to fill the “hour” much like the previous two episodes. Our lead characters are developed effectively and we even get a backstory that is strategically revealed as we work our way through the story. Like with the first two episodes, we also witness excellent performances by the three lead characters in this episode. I appreciate Peele’s desire and ambition to approach this series like Sterling did; but it needs to deliver episodes that can be applied more generally to present-day audiences that can stand the test of time instead of focussing on message delivery that makes it a time capsule. It’s Christmastime in the Twilight Zone. More so than any of the previous three episodes of Jordan Peele’s Twilight Zone, this episode sets up its characters and plot more effectively than any other. The beginning truly feels like a Sterling-inspired episode. Whereas the previous stories in this new anthology series struggle to find their respective places within the library of Twilight Zone episodes, this one starts out as close to the pacing, tone, and feel of the original series as we have seen so far. The setup is so effective, that we don’t even need the opening commentary by Peele in his brilliant Sterling-fashion. Although this episode, like all previous ones, feels stretched for time, it attempts to follow the “joke” structure of the original series closely. I don’t mean joke as in funny-haha, I mean joke in that the OG episodes quite regularly setup the plot/characters in Act I, reinforced the plot/characters in Act II, then disrupts that pattern with a twist in Act III. If this were a typical joke, then that twist would be the punchline (“I’ll have 3 chili dogs, salt & vinegar french fries, and a diet soda”). In the case of A Traveler, Acts I and II are outstanding, but then the twist in Act III is a let down. The payoff does not equal the windup. Instead of adapting or reimagining any single classic episode for the new series, this episode channels several classic episodes in order to repackage into a new story. Like with the previous three episodes, this one takes a classic approach and attempts to comment on ethnocentrism, appropriation of property, and forcing a native people out of its land if it doesn’t conform to the “superior” group, but this analogy never quite solidifies. Without spoiling the twist, it is a twist that would have worked very well during the run of the original series, but doesn’t work as well in 2019. I appreciate the reason for the mysterious traveler’s sudden appearance, but just doesn’t do it for me. One of the best parts of the original series is that the end often prompts the audience to vicariously interact with the story by deciding what they would do. But that power is withheld by the audience by allowing a character to voice what should come from the audience. Moving forward, I hope to see future episodes that stick close to the pacing and tone of the original, but still provide the audience with the ability to interact with the story.